I've been out for the last two days lure fishing, on my last trip to the tackle shop I spotted some blue Mepps - haven't seen blue ones since I was a kid so two were purchased, and they accounted for all the lure caught perch on the weekend. 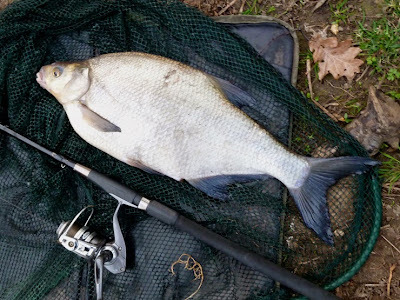 Yesterday afternoon I targeted perch in the Thames and some of it's tributaries, just one fish which I was convinced was a really big perch until it surfaced and revealed a foul hooked bream... Can't catch them when I want to..! 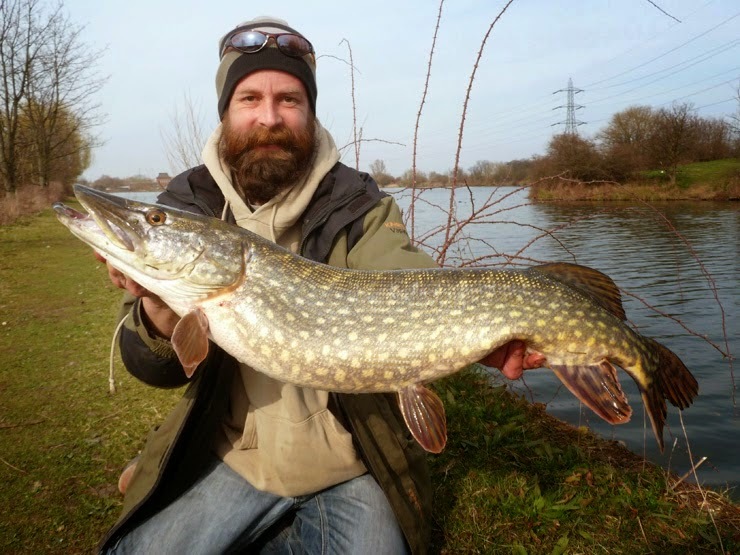 Today me and James hit Walthamstow Reservoirs after one of their very rare pike, after much searching James spotted one in a shallow bay and although it followed his lure it was very half hearted. Then we spotted another and another but they didn't want to play. Eventually I had a hit, pike on, good old blue Mepps! 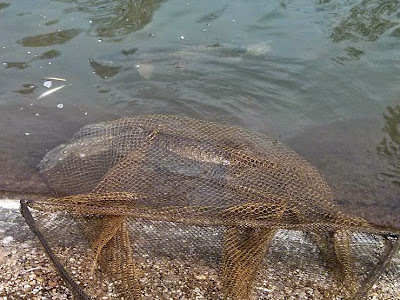 A great fight in the gin-clear water and she was netted as quickly as possible due to what looked like a poor hook-hold, my 11lb 12oz Walthamstow prize was in the bag. And we saw why they weren't playing, while in the net a jack pike swam up to her. She was ready to spawn, and after a quick photo she was returned to her waiting mate. Female is in the net, you can see the waiting jack at the top of the photo. Very quick report today, lots to do... Last day tomorrow. Hard place and a chunky lil female, you earned that one, savour it. Cheers James. 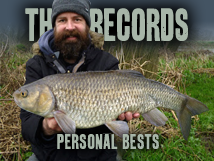 Really tough fishing and a fish that will be savoured throughout the summer - might just tide me over until Piketober!